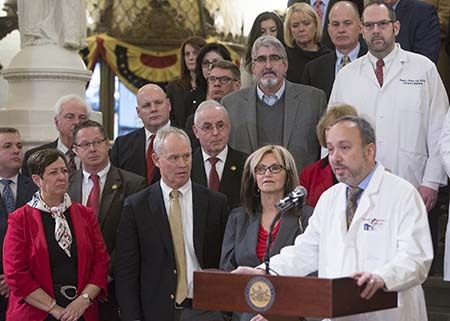 This week, I participated in a Capitol news conference to bring greater attention to an issue that could create a crisis within health care, especially in rural areas like ours. As a member of the House Appropriations Committee, I am looking forward to seeing the governor’s spending plan and reviewing the details in the coming weeks with other committee members. Our budget hearings get underway on Feb. 11. You can watch the address on my website, RepHeffley.com, at 11:30 a.m. and keep your eyes on my social media for updates and reactions. I have been appointed to serve on the House Appropriations, Human Services, Tourism and Recreational Development, and Transportation committees for the 2019-20 legislative session. I am pleased to have been reappointed to the Tourism and Transportation committees, which deal with issues that directly impact Carbon County residents. Tourism is our region’s No. 1 industry, and there are a number of infrastructure improvement projects underway throughout the 122nd District. I also look forward to working with my colleagues on the Appropriations Committee in developing a budget that adequately funds the core services of government while holding the line on taxes. Congratulation to Weatherly’s own Mackenzie Sherman, Miss Greater Hazleton Outstanding Teen 2019. 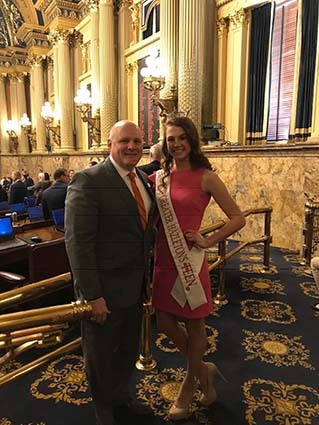 Mackenzie and other scholarship winners from the Miss Greater Hazleton Scholarship Program visited the state Capitol on Monday, where they were recognized by the House of Representatives. In this edition of my Legislative Report, I visited the 103rd Pennsylvania Farm Show and learned a lot about the threat posed by the Spotted Lanternfly, the challenges faced by the dairy industry and efforts to prevent avian flu. Thanks for watching! 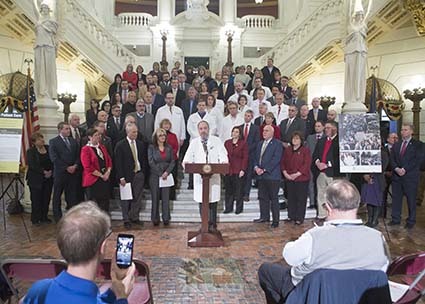 The Hazleton Area, Lehighton Area and Weatherly Area school districts have been awarded state funding to expand their computer training programs.